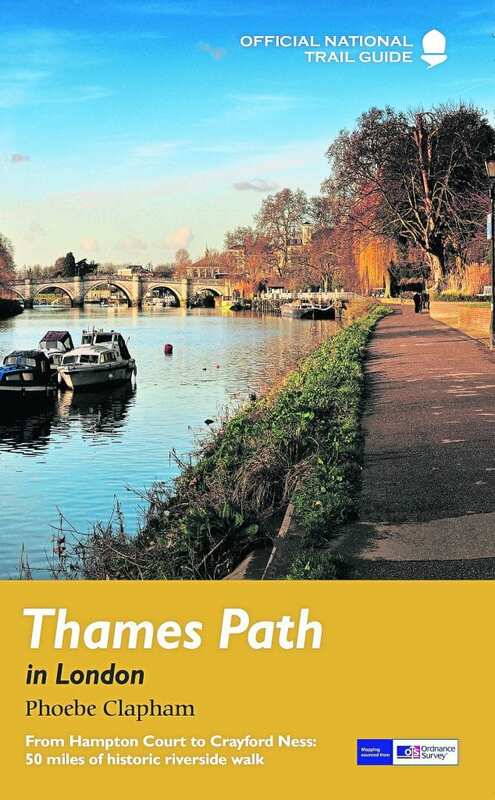 THERE are regular additions to the number of guides to the Thames Path National Trail available in bookshops, but this year of the 20th anniversary of the opening of the path would seem to be a good reason for a new one to appear – even if only by coincidence. 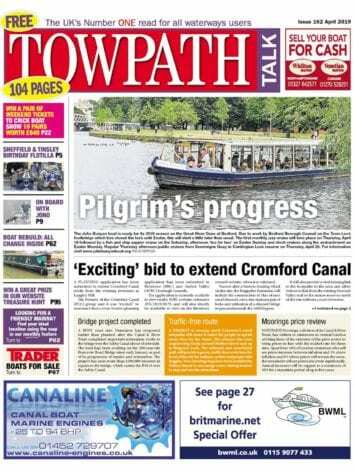 Coincidentally again, as well as timing well the year for publication of a revised edition of its Thames Path in London, the Aurum Press also chose the month July, that of the celebration anniversary walk along the path. The publishers are producing two books, this which covers the pathway through the city and beyond, with another to follow that will link the upper reaches with the boundary of the capital. Thames Path in London covers 50 miles of historic riverside scenery from Hampton Court to Crayford Ness. This official trail guide joins others produced by the Aurum Press for most of the National Trails throughout the country. In the city, unlike the rural areas, bridges abound where walkers can cross with ease, to take in at close quarters the sights on either side of the river – on both of which the path runs. The author Phoebe Clapham has divided her route into eight sections, each with another urban facility, a close-by railway station. She points out that London owes its existence to the River Thames, a tidal river at this stage, easily accessed from the English Channel. Traces of habitation on the riverside date from as early as 4000 BC. It was the Celts who gave the river its name, Tamesis, meaning smooth-running river. As well as referring to ancient history, and tracing royal links such as at the palace at Hampton Court, the author refers to the more modern, such as the Eel Pie Island Hotel seen on Walk Two, famous for the early-career performances in the 1960s of the Rolling Stones, The Who and Pink Floyd. If the later stages are more industrial, they too offer much of interest both historically and in modern developments, right up to the finishing point beyond Dartford Creek. 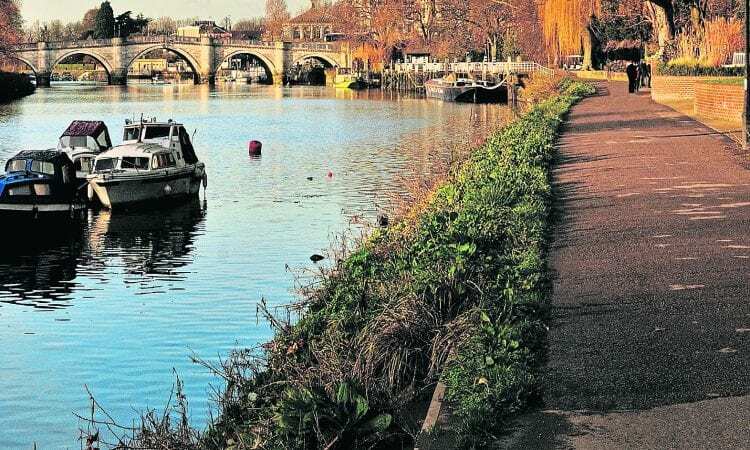 While the city may not be associated with wildlife, the author has kept an eye open for the birds that enjoy life on the water here, such as the hero pictured in the lee of Richmond Bridge. The contrast of sepia photographs of earlier scenes and present-day colour images add to the attraction of this guide. Thames Path in London by Phoebe Clapham, published by Aurum Press, paperback 154 pages, is priced at £14.99.